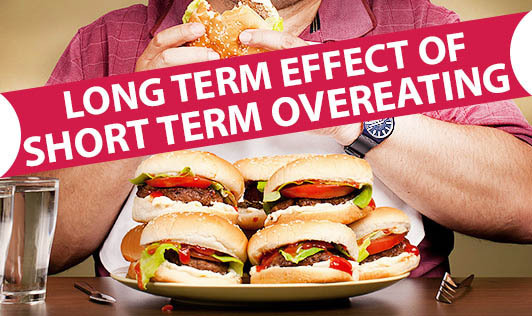 A small study done recently shows that overeating even for a short while, has long lasting effects. The participants of this study ate more than usual calories which came from fast foods like burgers, fries and pizzas. They all gained weight at the end of a month of overeating. At the end of 12 months, even though the participants had lost some weight, they did not reach their original weight, that is their weight before they increased the calorie intake. Moreover, their body fat had also increased.